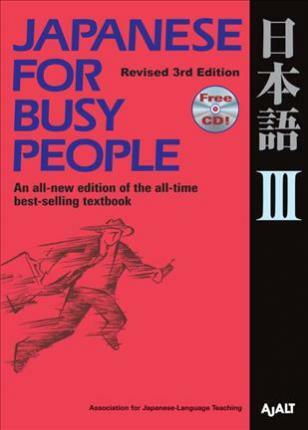 Building on the grammar and vocabulary presented in Volume II, Japanese for Busy People III will enable readers to initiate, sustain, and close most basic conversations. With numerous speaking, listening, reading and writing tasks. quizzes and illustrations to make the learning process both fun and effective, this book prepares readers for Level 3 of the Japanese Language Proficiency Test.